When I learnt to read in the 1970s I had a tin full of words and when I’d learnt these words I practised by reading Peter and Jane stories. Peter and Jane had a dog and a ball and often went out to play and run and jump; they also did fun things with Mummy (mostly involving baking) and Daddy (when he came home from work). And when I’d finished with Peter and Jane there was a world of other Ladybird Books to choose from. We now know that the Synthetic Phonics method is the best way to ensure that all children – regardless of ‘lucky’ backgrounds or external experiences – have strategies for working out any word they meet. They are taught the letter sounds and how to blend them as well as some ‘tricky’ words that are essential for reading in English: words such as the, said, there, was. By the age of 6 or 7, most children should have enough phonics knowledge to be able tackle and at least ‘decode’ any new word in a book. However, it’s important to remember that understanding what the words mean – both individually and in the context of the story or information text – is also vital for reading progress and is really important for motivation. Keeping children reading beyond the age of 7 can be a challenge so the earlier they develop a reading habit, the better. There are a number of different ‘levelling’ systems used including Oxford Levels, Cliff Moon levels, Reading Recovery Levels and Read, Write, Inc. However, the most commonly used structure in schools is Book Bands because this is a system that has been applied to lots of different reading schemes and other books. Book Bands consists of a series of coloured bands that reflect progress in reading from early phonics through to fluent, competent reading around the age of 7 or 8. There are also Bands beyond this but these are much broader and more about age-appropriateness than reading ability. The point at which your child is ready to move up a band or level depends on your child and the teacher’s approach. Generally, a teacher will want to know that a child is secure and confident at a given level before moving them on. It’s also important to bear in mind that not all levels are of equal size. In the first few years of school, the steps of progress are fairly small, and children will move through a number of levels quite quickly. As children move up the levels, the steps become broader and ‘moving up’ happens less frequently. It’s also important to remember that different children develop their reading skills at different rates so comparing your child with others is not helpful. If you think your child is ready to move on, talk to their teacher – there may be good reasons why they are being ‘held back’ for a bit, for example to work on their comprehension, fluency or expression. In many schools, children become ‘free readers’ once they’ve come to the end of the reading scheme. This is a fantastic achievement to be celebrated and means your child will be able to choose their own reading book from a much wider range. However, it’s important to ensure that your child continues to get a varied and appropriately challenging reading diet. If you have any concerns about your child’s reading, read our advice about struggling readers. Blog: How can I support my child with phonics? 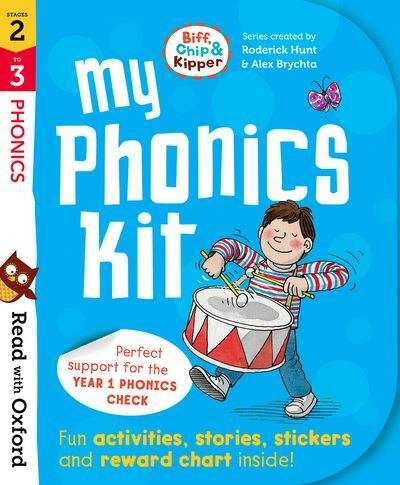 Packed full of fun activities, engaging stories and useful tips, this kit provides you with everything you need to support your child in the lead up to the national phonics screening check for 6-year-olds. 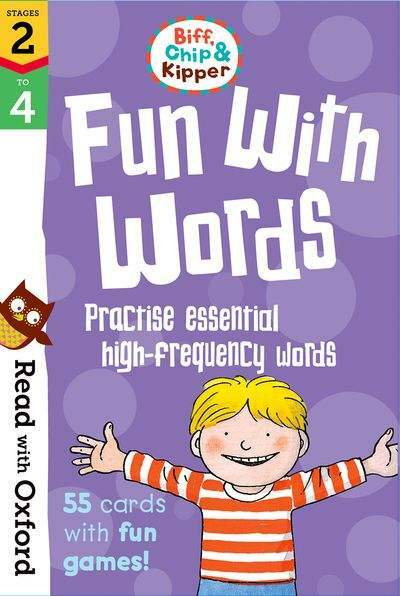 Practise phonics skills with three activity workbooks and three phonics storybooks to share. Reward good work and build confidence with fun stickers and find out everything you need to know about the phonics check with advice from phonics expert Laura Sharp. Young children learn best when they are having fun! These Fun with Words Flashcards are a fun way for children to practise essential high-frequency words at home – just as they do in school. Four different word games help children to recognise common but tricky words by sight, develop memory and concentration skills, spell simple words and make sentences using words and picture cards. 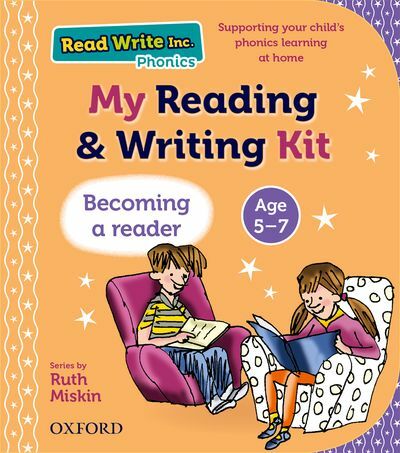 This comprehensive kit is packed full of resources to help your child learn to read and write. It is a perfect way to prepare your child for school and support them as they begin to learn phonics in Nursery and Reception. 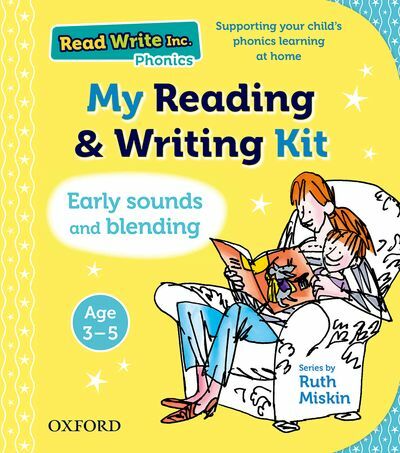 Support your child’s steps towards becoming an independent reader and writer with this kit, designed to help your child to read longer sentences and stories, and to practise writing a growing range of words. This is the third kit in the series, but each kit can also be used on its own. Andrea Quincey is the Head of Primary English at Oxford University Press and has been developing primary literacy resources for schools for nearly 20 years. She is also mum to two children aged 7 and 9.